Devil Horse Motorsports LLC, owners of the 1968 Ford Bronco “Caballo del Diablo” announced an innovative partnership for the 2018 Yokohama NORRA Mexican 1000 Off-Road race April 21-27th 2018 in Baja California Mexico. BlackVue Dash Cameras makes their debut into the extreme environments of off-road racing by joining the team’s exclusive list of partners to globally launch the highly anticipated DR900S 4K dash cam. BlackVue’s single and dual-channel dashboard cameras not only constantly record high-resolution video and audio but have the unique ability to broadcast to the Cloud and social media channels simultaneously. High resolution video and audio records to an installed MicroSD card while at the same time broadcasting a lower-reolution, 10 frames-per-second feed to the Cloud for Live broadcasting. Cloud viewing along with the captured clips include ground speed and GPS location data where available. The 1,369 mile on and off-road rally will showcase the new capabilities of the cutting-edge technology contained within the DR900S Series dash cam. This new model features an ultra-wide 162-degree lens with 4K Ultra High Definition recording. Capturing at 4K resolution, which is 4x full HD, the footage captured during the event will be as extreme as the environment. Featuring an eight-megapixel sensor that is designed for low-noise and low-light recording, the team will have additional security for race and crew vehicles as they are parked during overnight portions of the race. Equipped with mobile WiFi, the Caballo del Diablo 1968 Ford Bronco will start stages and transitions by connecting the installed dash cams to Facebook Live for broadcast on the Method Race Wheels Facebook page. Additional 4k recorded footage, “Clips of the Day” will be uploaded to the Method Race Wheels Facebook page daily to showcase the always-recording capabilities of the system. To encourage sharing among the off-road community, four DR900S systems will be given away by a special drawing from the enthusiasts that share the live feeds on their personal Facebook pages. Since it’s first appearance in 2010 the “Caballo Del Diablo” (Spanish for horse of the devil) 1968 Ford Bronco has been a fan favorite. 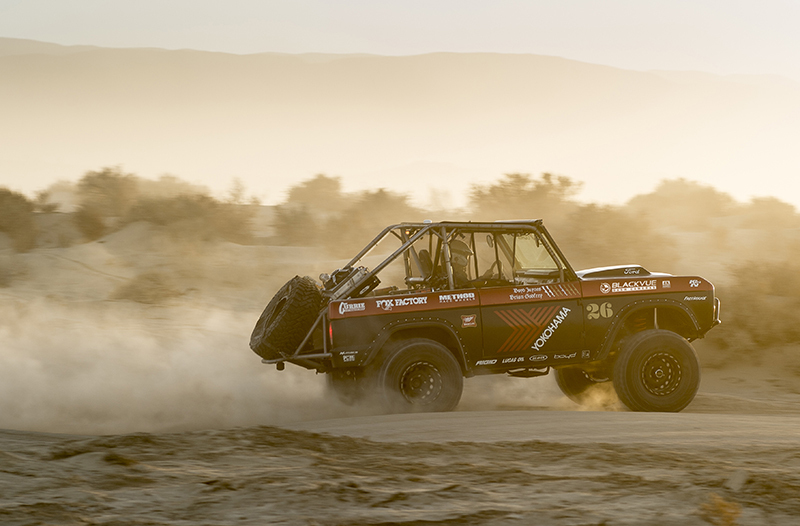 In eight appearances and over 10,000 miles of brutal Baja racing, the nearly fifty year old truck has garnered 5 class wins in the competitive vintage “Pioneer” category of the annual National Off Road Racing Association’s Mexican 1000. Drivers Boyd Jaynes and Brian Godfrey have applied the marketing skills from their professional lives to develop the race team into a viable platform for their partners to test and market products while endearing themselves to the fans as folklore type characters. At the 2018 Yokohama NORRA Mexican 1000 the team will be seeking their 5th consecutive class win in the Pioneer 4×4 category and maintaining the status of having the best record of any team in modern NORRA history. 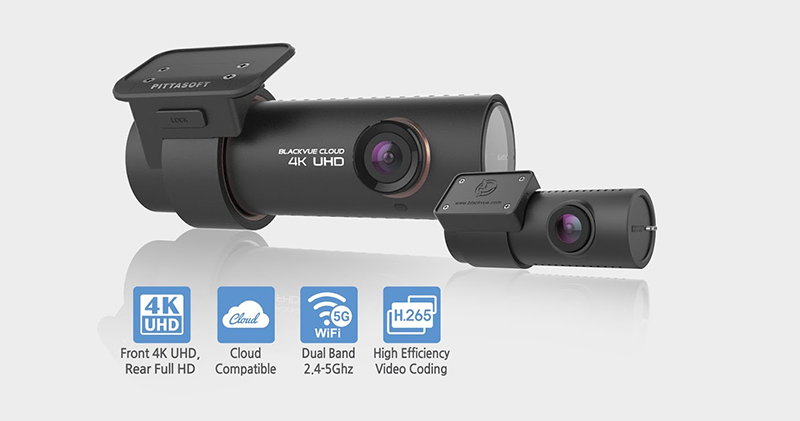 Established in 2007, BlackVue has become the standard for simple, reliable, connected and elegant dash​cam design. It introduced Full HD dash​cams globally, followed by Wi-Fi connectivity for easy setup and management of videos through a mobile phone. It also became popular for it’s advanced Parking Mode monitoring function. Since 2015, BlackVue has set itself further apart with the launch of Over the Cloud, a service enabling remote Live View of in-car footage from anywhere, anytime with the BlackVue app. This unique feature provides both business fleet managers and individual users with new ways to easily monitor their vehicles in real time, from the palm of their hand. Rockstar / Makita Team LeDuc Rules at Bark River!